Throughout 2017, we saw impressive interior design trends, creative solutions and new materials emerge, led by innovative architects and interior designers. And we don’t expect anything different in design this year! We’re thrilled to see that trends like sustainable design are still going strong this year, but take a look at how designers can enhance a space even further. Get inspired with these design predictions and what trend-watchers are keeping their eye on in 2018. Companies grow. Their needs change over time, and the way they use their building space will change over time too. Good building design can accommodate that growth and adapt to the needs of the occupants. 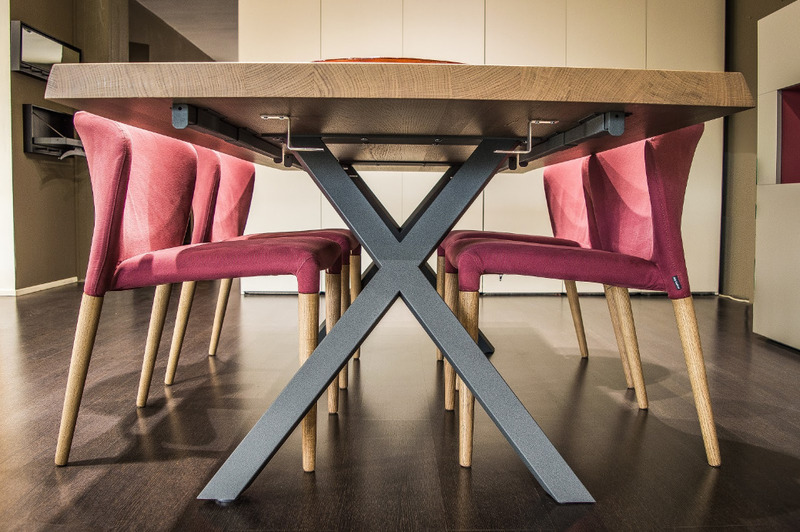 “Interior designers know that businesses are constantly changing and becoming more flexible, allowing colleagues and staff to try new things in innovative ways, which led directly to this trend.” writes Zack Sterkenberg for Ambius. Flexible spaces are agile, and can adapt to the needs of the occupants or employees inside. Ayers Saint Gross’ office in Washington DC is a great example. With a flexible conference room, movable desks, sliding doors, and glass partitions for writing or drawing, the design easily accommodates its busy, dynamic office culture. Perhaps one of our favorite trends coming up next year is that of designing with imperfection. In traditional Japanese design, wabi-sabi is the celebration of imperfection and impermanence. Dana Isom Johnson, trendwatcher for Etsy, calls wabi-sabi the next big thing in interior design in 2018. "Think tables or cutting boards with burn marks or ceramics that have not been perfectly thrown,” says Isom Johnson. Embracing these imperfections in your design also means using materials that are naturally-occurring and authentic. “[T]hat means emphasizing the use of organic materials, pieces made with innate imperfections, and embracing authenticity, even if that means it's a little off-kilter,” states Sarah Tardiff for Elle Decor. 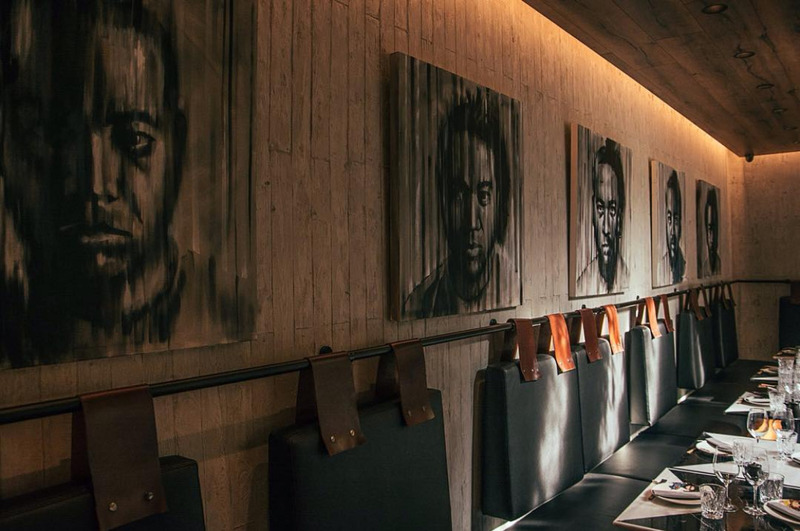 Chow Chow Madrid opened last year, and designer María Villalón was inspired by the concept of wabi-sabi. She used natural elements like wood and leather to create an elegant but slightly rustic look. Natural materials and products have long been used to enhance design, but there’s a shift towards even more organic looks and elements throughout the industry. 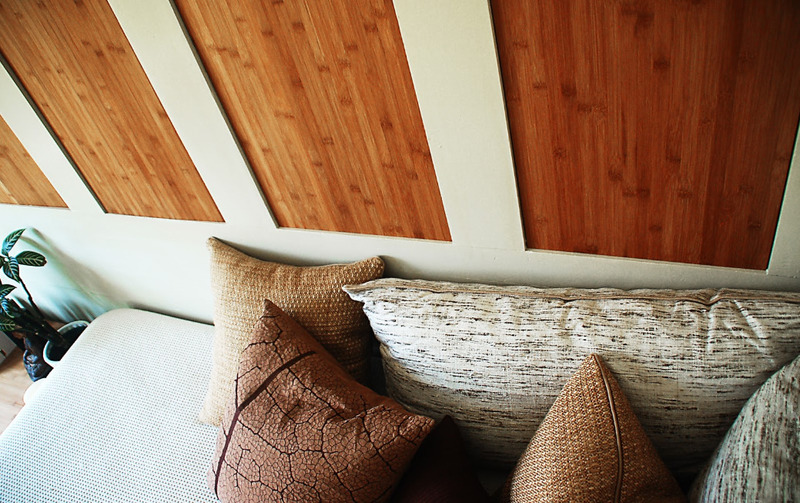 Expect to see designs that incorporate natural materials as prominent features and in smaller details, such as bamboo wall panels. Bringing outdoor elements into your space can create a soft, organic ambience, and we’re especially excited to see the use of more natural design features on the horizon. A blank, boring wall is never in fashion, so we’re thrilled to hear that custom wall treatments and wall tiles are projected as a trend in 2018. And tiles aren’t just for the bathroom or kitchen backsplash anymore. Wall tiles come in a vast array of colors and materials, offering designers solutions for just about any space. Wall tiles add texture and a dynamic appeal to any blank wall. 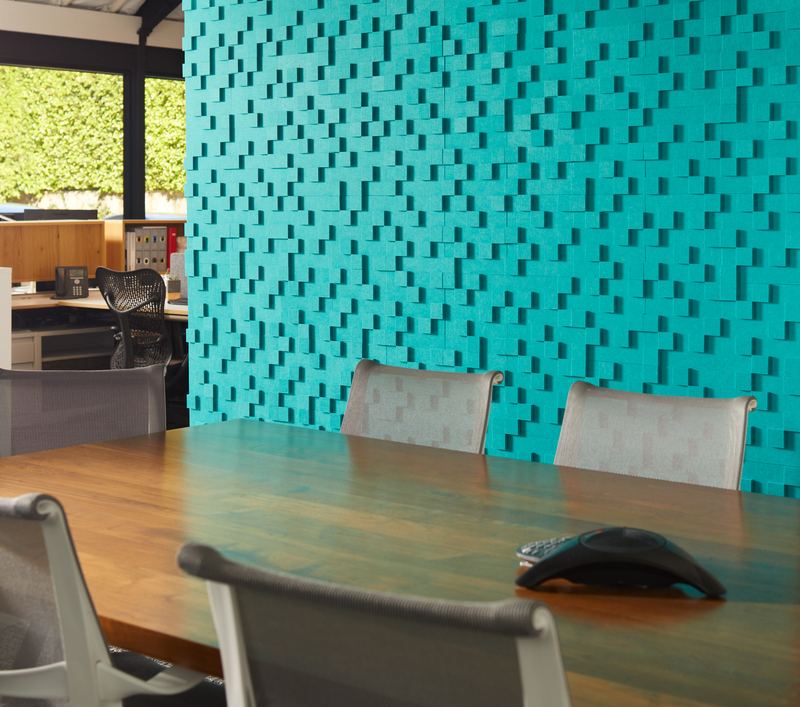 Kirei’s Topo acoustic wall tiles offer the additional benefits of effectively managing sound in your space, and it’s a LEED-quality material. Expect to see bold pops of color, especially more red this coming year says trend forecaster Patti Carpenter: “Striking and succulent, decadent and dazzling, red adds the fashion and the passion." Incorporating shapes and geometric designs into your design can add a fresh look to your space. Implementing this kind of trend can be as simple as adding some patterned throw pillows or fun desk decor. Or go all out. 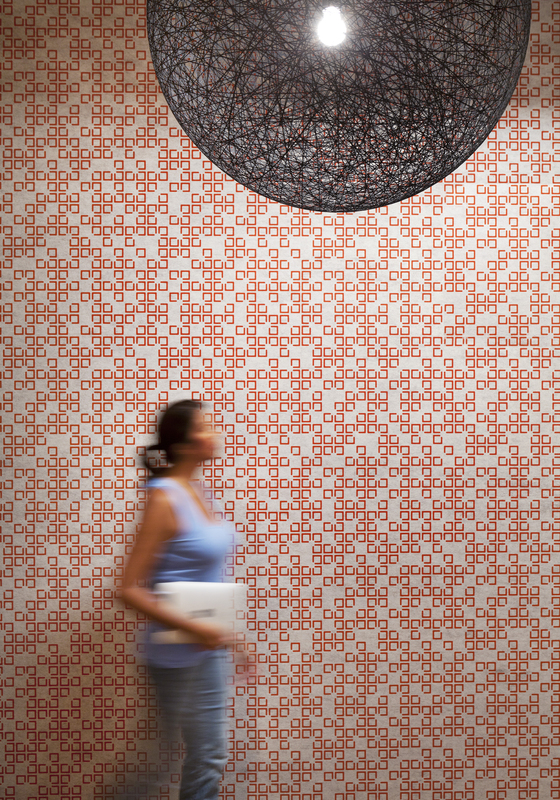 Add serious visual impact to your space by featuring a slick design on an entire wall. Kirei’s EchoPanel Mura is a cost-effective wall solution that adds sound absorption and eye-catching appeal to any room. Jeff Pochepan, president of office design firm Strong Project, says that design in 2018 is about not just about healthy spaces, but improving the lives of the people in those spaces. “The theme for 2018 office design is ‘vitality:’ taking the office space beyond being a place we simply tolerate to becoming a place where we feel re-energized and full of possibility,” he says. Whether it’s using healthier materials or big, bold wall statements, we’re excited to see what the new year has in store.